Waterville Valley Campground is a developed recreational area administered by the USDA Forest Service. A fee is charged for the use of this area which is collected through a self-service pay system. 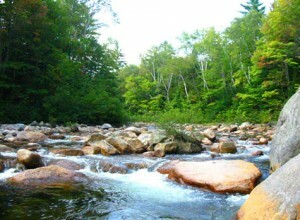 It is conveniently located near the town of Waterville Valley and the White Mountains Region. The campground sits in a bowl formed by Mt.Tecumseh, Osceola, Kancamagus, Tripyramid and Sandwich Dome. A variety of recreational opportunties exsist nearby which include: fishing, hiking, bicycling, pleasure-driving and horseback riding. The campground has 26 individual wooded sites, each with a picnic table, fire ring, tent pad and turnout for parking. Three of these sites share a common parking area. Suitable parking space is available for trailers and motor homes at various sites. Water, electrical and sewage connections are NOT provided. 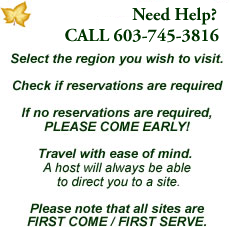 A few campsites take advance reservations however, the majority of campsites are available on first-come, first-serve basis. The area is open yearround but no snowplowing is available in winter.